There have been some glitches of late and some vids are having problems. Please leave a comment if this is the case. This old interview with Morgan Freeman addresses his perspective on race in America today. It is refreshing as it is true. In the world of high octane “I be going crazy up in hea!” race baiters it is truly a breath of fresh air to hear a black man of some status speak the truth to popular pap. In the Halls of Talking Head Karma, Rachel Maddow is lost and at a loss. 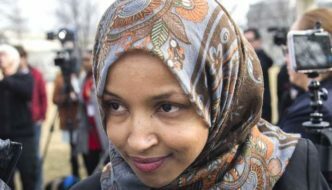 Her entire personality has been inflated in her vision quest of the consummate victory over the forces that won’t let us do every single thing we want. What do you do when you’ve been preaching to the choir two years running and have run out of empty allegations against the POTUS. She seems to cry a lot when disappointed, this in itself shines a light on the bizarre relationship she has with the unseen denizens that live in the lens she talks to. It appears that her closest confidante and friend, are her viewers. How so, such an empty soul that the destruction of POTUS Trumps real relationships with real flesh and blood humans. Barney Google with those goo-goo-googley eyes,… has been invited to resign his chairmanship of the House Intelligence Committee in a sucker punch move by Republicans, urged by the President and supported by many others. The irony is palpable. For two years he has been crowing that Trump colluded, was a traitor and that he (Schiff) had a the goods on him. The leader of the House INTELLIGENCE Committee, privy to information that most Americans could not have access to This gentleman’s bailiwick is information. He has been bold and strident throughout the Muellar investigation.EAGERLY taking point in the attacks on a the Whitehouse. KLAKDAPIK for more. 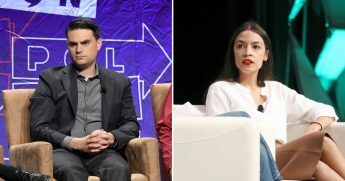 In a meeting of the tweets, Ben Shapiro addresses the recent vote on supporting Ocasio Cortezs’ “Green New Deal” that resulted in exactly zero votes from fellow Democrats. Of course the Republicans knew it would not pass. They just wanted the Democrats, who had pushed for recognition of the GND, to go on record as supporting the “pie in the sky” built upon outlawing bovine flatulence, a refitting of every building in the U.S. with solar panels, ditching air travel, as well as internal combustion vehicles of any pedigree. The vote was a brilliant bit of politicking in that it eliminated the GND as a campaign promise. No one wants to be associated, on record, with this progressive daydream.